Capitol Navigators, Inc. owner Scott Tyre's two decades in political and public affairs will strengthen your organization's impact on state policymakers. Scott started his political career working for Florida Governor Bob Graham. After Graham's election to the US Senate, Scott moved to Washington, DC. While based in Washington, he traveled the country helping candidates run for US Senate, Congress, Governor, and Mayor. This extensive work has lead to a unique understanding of the political currents that can help your company in preparing a successful strategy to tackle any issue. As a National consultant for more than two decades, Scott has key contacts in most States. From the Leaders in Congress, to Governors, and to the Leaders in Statehouses, Scott can help your business concerns Nationwide. 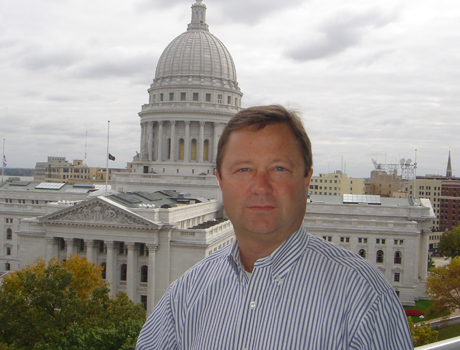 Scott was also elected by his peers to the board of the Association of Wisconsin Lobbyists. Call (608) 227-0138 today for more complete information on CNI's unequaled range of services, contacts, and expertise.